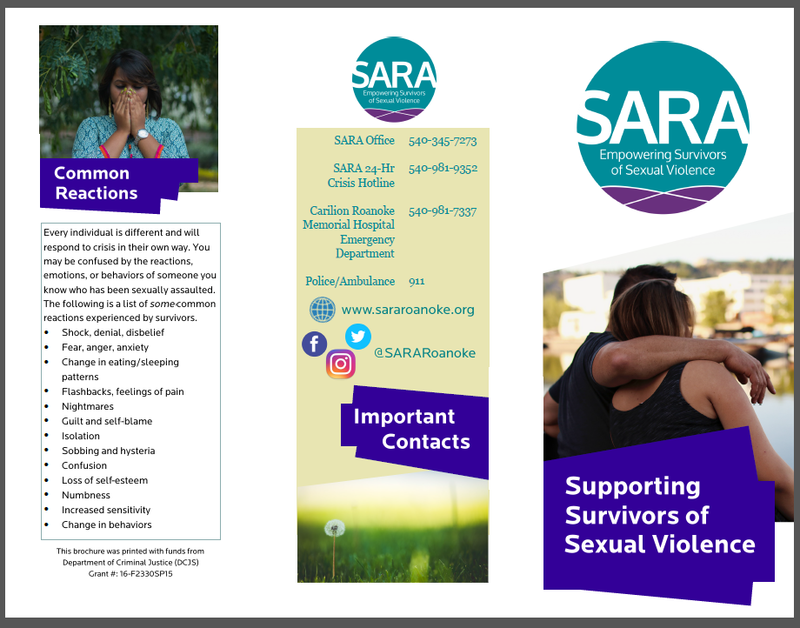 The following brochures were generated at SARA for the use of our community. Please feel free to download them when necessary. 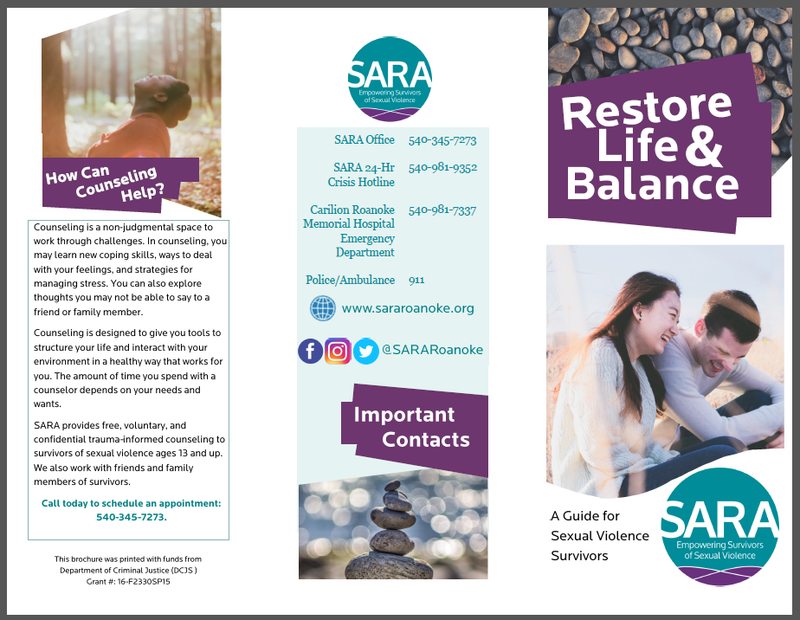 If you would like printed brochures for your office, agency, or organization, please call the office at 540-345-7273 and speak with Kelsey Harrington. We can bring you copies of our brochures and replenish any more that you may need.